Some words or parts of words in Jeseri (i.e. the highly divergent variety of Malayalam spoken in Lakshadweep) sound like completely unrelated words in mainland Malayalam but are really English loanwords, e.g. [ˈkaːttɯ] 'heart' (cf. mainland Malayalam [ˈkaːttɯ] 'wind') and [ˈboːʈɯkiɭi] 'boat cleavance' (cf. mainland Malayalam [kiˈɭi] 'bird'). I never realised that truant, a loanword from French, has a Gaulish etymology (*trūgant-, participial form of a verb related to PC *trowgo- "sorry, sad") and, therefore, is ultimately cognate with Irish trua "wretched". It also makes Welsh triwant a reborrowing as well as a doublet of truan "wretch". From this noun the Latin speaking Sardinians coined the verb muricare / murigare / morigare : to mix using a spoon / ladle (with a spiralling motion). An fascinating etymology I came across a while back is the Slavic word kladivo "hammer" (Slovene, Slovak, Czech, Serbo-Croatian) and its cognate Proto-Celtic *kladiwos "sword". I find it really interesting that the word in the modern Slavic languages is nearly identical to the Proto-Celtic word, while in modern Celtic languages the word has now become claíomh in Irish and cleddyf in Welsh, which do not look related at all anymore (the same Proto-Celtic word also gave Latin gladius and gladiator, via Gaulish). Ashucky wrote: An fascinating etymology I came across a while back is the Slavic word kladivo "hammer" (Slovene, Slovak, Czech, Serbo-Croatian) and its cognate Proto-Celtic *kladiwos "sword". I find it really interesting that the word in the modern Slavic languages is nearly identical to the Proto-Celtic word, while in modern Celtic languages the word has now become claíomh in Irish and cleddyf in Welsh, which do not look related at all anymore (the same Proto-Celtic word also gave Latin gladius and gladiator, via Gaulish). That is interesting. I can see how the Irish word got to be what it is. It might help to know that the pre-reform spelling (so, the spelling used up until the 1930's) for claíomh was claidheamh and that the mh is pronounced as a /v/. According to the Gran diccionari de la llengua catalana, Catalan lleig (ʎet͡ʃ; ugly) comes from Frankish *laid, whence also French laid. The GDLC cites the Old Occitan forms as laid or lag, whereas the Dicod'Òc gives laid (lajt), lèd (lɛt), lag (lat͡ʃ), lèu (lɛw) and lèg (lɛt͡ʃ) for modern varieties of Occitan. Anyone know if the Frankish word is related to this Germanic root, which also gives Dutch lelijk and English loathsome? Saim wrote: According to the Gran diccionari de la llengua catalana, Catalan lleig (ʎet͡ʃ; ugly) comes from Frankish *laid, whence also French laid. The GDLC cites the Old Occitan forms as laid or lag, whereas the Dicod'Òc gives laid (lajt), lèd (lɛt), lag (lat͡ʃ), lèu (lɛw) and lèg (lɛt͡ʃ) for modern varieties of Occitan. A cognate of the Catalan "lleig" exists in Sardinia in the southern Sardinian language (Campidanese), "lèggiu" (ugly), while towards the centre of the island the pronunciation changes to "lezu" (pronounced with "dz"); while in the central-northern Sardinian languages (Nuorese and Logudorese) the word used is "feu", same of Spanish "feo", from Latin "foedus". Interesting! I guess this is a Catalan loan, although I would've expected the northern part to have more Catalan loans given existence of l'Alguer. Is the -u an internal development of Sardinian (like, not liking final consonants)? Or did they backtrack from the plural form lletjos (Central Catalan ʎed͡ʒus, although it may have been something else in medieval Catalan). L'Alguer it's only a single town, no one speaks Catalan outside the old town. Most of the province is Sardinian speaking (Logudorese), except along the northern and northeastern coasts, where are present dialects related to Corsican language (Sassarese and Gallurese). During the Spanish age, from XV to XVIIIth century the island was divided in two provinces, the northern ruled by Castillan lords and the southern by Catalan lords, for this reason we can find more Castillan words in the north and more Catalan in the south. In the case of "feu/feo" it could be a convergent evolution directly from Latin, Sardinian language in general has a lot similarities with Iberian languages, some with Spanish, some with Catalan, and some with Portuguese or Asturian (which never had contacts with Sardinia). 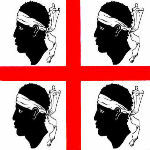 About the: Is the -u an internal development of Sardinian? It's an adaptation to Sardinian language, from what I can remember there aren't singular words ending with consonant in Sardinian, with two exceptions (tempus and corpus) that keep the S ending of Latin. While in the northern Sardinian languages (Nuorese and Logudorese), the words ending with -u have plurals with "-os" : lezu -> lezos | feu -> feos. Last edited by Homine.Sardu on 2019-04-04, 18:09, edited 1 time in total. Saim wrote: Anyone know if the Frankish word is related to this Germanic root, which also gives Dutch lelijk and English loathsome? About halfway down the page, you find a proposed borrowing from Frankish into Vulgar Latin. I'm not sure what the argument is for that rather than a direct borrowing into Gallo-Romance, but I don't know anyone who contests this derivation. Since it was last week... The Feast of the Annunciation is known in Sweden as "Waffle Day". The etymology is pretty straightforward, the official name is vårfrudagen, "our-lady-day", and then saying it fast resulted in våffeldagen, "waffle-day". Both in the definite, as the names for individual holiday days tend to be in Swedish. More funny than interesting, I suppose, but I still like it It also holds a lot more weight than any other food-related pseudo-holiday throughout the year. For the devout, it fits right in despite being during Lent, our waffles are thin and pretty much just milk and flour with a pinch of baking powder or yeast, so if someone doesn't want to treat them as, well, a treat, they can choose more savory toppings and have waffles for either lunch or supper. Oh, and "Waffle Day" is always on the 25th of March, while Church of Sweden celebrates the Annunciation on the Sunday closest to that date, and that seems to be the case in the former and current state churches of the other Nordic countries too. There are exceptions for when that Sunday is part of Easter, but whatever. I've always wondered why Chinese donuts are colloquially called "fried devils" (油炸鬼 yàuhjagwái) in Cantonese. According to Wikipedia, this is folk etymology. The Hokkien name is "fried pastry" (油炸粿 iû-chiā-kóe) and apparently the element kóe [kue˥˧] is similar enough to Cantonese gwái [kwɐi˧˥] "devil" to cause confusion. linguoboy wrote: I've always wondered why Chinese donuts are colloquially called "fried devils" (油炸鬼 yàuhjagwái) in Cantonese. According to Wikipedia, this is folk etymology. The Hokkien name is "fried pastry" (油炸粿 iû-chiā-kóe) and apparently the element kóe [kue˥˧] is similar enough to Cantonese gwái [kwɐi˧˥] "devil" to cause confusion. It's also 油炸粿 in my native language. In Wenzhounese you can say both 油炸粿 [jaʊ.d͡za.ku] and 油条 [jaʊ.djɜ]. 果子 also made it in Standard Mandarin in the street food 煎饼果子 even though it doesn't always come with 果子/油条 outside of Tianjin. Thanks, I somehow missed that part of the list. Oops.